This weather has got me feeling really poorly with constant headaches and a horrible cold but there’s 17 days until Christmas! 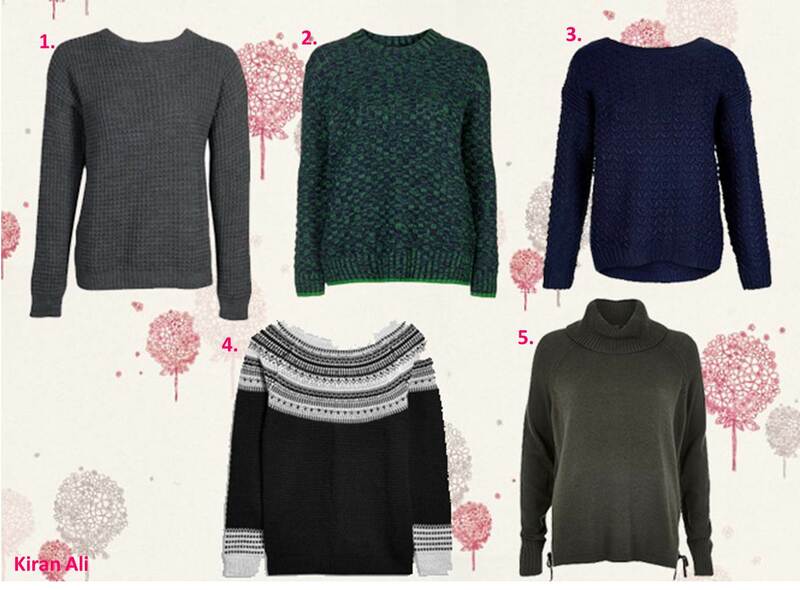 Today’s post I’ve got for you 5 jumpers which I think are needed for weather like this and are super trendy! 1 // Oversized Vintage Jumper – Boohoo. I have seen this all over Instagram and I’ve honestly felt the need to get one so in the next few day I’ll definitely be ordering one. It looks so good on and I think it’d be perfect to style. 2 // Square Stitch Jumper – Topshop. I saw this and I fell in love with the stitching as I think with knitted jumpers is the most attracting part as it feels so much better with a chunky stitch. 3 // Chunky Stitch Jumper – New Look. Again, the stitching on this is so delicate and I love this look on jumpers like this and it’d be so good to layer with. 4 // Patterned Sweater – Next. Finally a monochrome jumper you can’t go wrong really. The colours and the pattern I mean are as equally really pretty. 5 // Lace up knitted jumper – River Island. This has to be my favourite as the detail on this is beautiful s I love having tassles making it look much more classy, also the neck I mean could it get any more comfier. Whats your favourite jumper? Comment below.